“If there is one thing that can be called a genuine breakthrough in the last half-century of Reformation studies, it would be the ‘discovery’ that the Reformation had a background,” so writes Denis Janz (The Cambridge Companion to Reformation Theology, 5). There was a major theological landscape that preceded and influenced the Reformers. To interact with them apart from this historical setting is to really misunderstand them and their arguments. Late Medieval theology influenced the shape of the Reformation in key ways. Over the next few weeks I intend to explore various aspects of Late Medieval theology which shaped the form of the various reformations of the period. This week we should begin to understand some of the dominant theological systems at play during the late Medieval period. There are various conflicting systems making their mark on the era. Janz notes that the theological landscape was in fact “pluralistic,” by which he means that there were differing “factions and “schools” of thought that “differed not only on specifics but often also on fundamental approaches to the discipline” of theology (5). Understanding some of these schools and their key distinctive can help us understand the reformers’ own doctrinal distinctives better. Why some doctrines were discussed and others not, why some were discussed the way they were is related deeply to the late Medieval theological setting from which the various reformers emerged. By all accounts, Thomism was the dominant system of the preceding generation. Its name sake, Thomas Aquinas, had been one of the most important doctors of theology in church history. But in the fourteenth century Thomism had fallen on hard times; accusations of heterodoxy had abounded – of particular concern was the Thomist rejection of the immaculate conception. In the fifteenth century, however, there was a bit of a “Renaissance” in Thomism and more scholars were seeking to defend Thomas and to develop his system of theology anew. The new center for Thomism had shifted too during the fifteenth century, moving from Paris to the newer German universities. 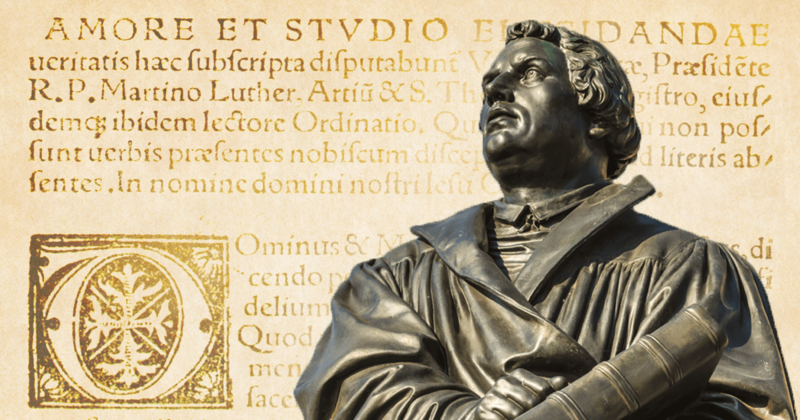 There is a significant amount of debate as to how accurately later Thomism represents the views of Thomas Aquinas (see Janz own full-length treatment in Luther and Late Medieval Thomism). It is worthy of a moment’s reflection to explore Aquinas himself. By all accounts the man’s work represents the culmination of medieval theology. Aquinas was a “scholastic” in the truest sense. The Middle Ages had seen the development of two schools of ministry: the monastic school and the cathedral school. They were vastly different in nearly every way. Those of the cathedral school were concerned with academics, with the analysis and synthesis of diverse authorities from the past. These authorities included both church fathers and pagan philosophers like Plato and especially Aristotle. Aquinas was concerned to reconcile the various ideas of past thinkers, Christian and pagan alike. Aquinas’ works often focused on the proper use of faith and reason, allowing him to draw from the likes of both the church fathers and Scripture on the one hand, and from Aristotle on the other. His work in this field allowed him to draw one of his most important distinctions: the grace – nature scheme. Aquinas believed that there were two means of knowledge: revelation and natural reason. There are certain things that we can know about God only by means of His gracious disclosure of them in divine revelation, particularly sacred Scripture. There are other things, however, which, he argued, we can know purely by human reasoning and logic. This became a major point of departure for the Protestant reformers who contended that works do not have salvific merit. Thirdly, Thomism’s view on the Mass became highly influential. Aquinas’ desire to show the validity of human reason in understanding some of the divine mysteries, led him to develop an entire system of explanations for “transubstantiation” – the view that the bread and wine of the Eucharist become the body and blood of Christ. Borrowing from Aristotle’s distinction between substance and accidents, he argues that the bread and wine are transformed in their substance while maintaining their accident – i.e. it is changed at the level of its true nature, but not at the level of its appearance. While this became a popular view among many leading theologians, there is question among scholars as to how deeply it was believed by all the church. Diarmaid MacCulloch notes that in the “Fourteenth century, most philosophers and theologians, particularly in Northern Europe, did not in fact believe this” (The Reformation, 25). In some cases it was simply taken as general theory, without much confidence. But as church authority began to be increasingly questioned throughout the fifteen and especially sixteenth centuries this whole doctrinal system was quickly exposed as unstable, and the rest of the Mass seemed less confident too. The Mass, as we shall see, is a major linchpin within the Roman Catholic system; its unravelling will become a major point of conflict in the Reformation era. There is much about Thomas Aquinas that protestants can learn to appreciate (see K. Scott Oliphint, Thomas Aquinas). Yet, some of his major doctrinal developments, and especially as they were further developed by his disciples, became touchstones for the Protestant Reformation. Without a cursory understanding of some of these issues the Reformation simply looks like a random outburst, when in actually it was a reasoned response to major flaws within the theological landscape of the time.